Explosive package sent to CNN offices also included a parody of the ISIS flag and pictures of women. The explosive package sent to CNN offices in New York also included a parody of the ISIS flag, with Arabic inscriptions and silhouettes of women, a senior law enforcement official told NBC News. In addition, according to the report, the image contained the phrase “get 'er done,” which is the motto of the comedian "Larry the Cable Guy." Also, alongside the flag appears the figure of a person who was not identified. 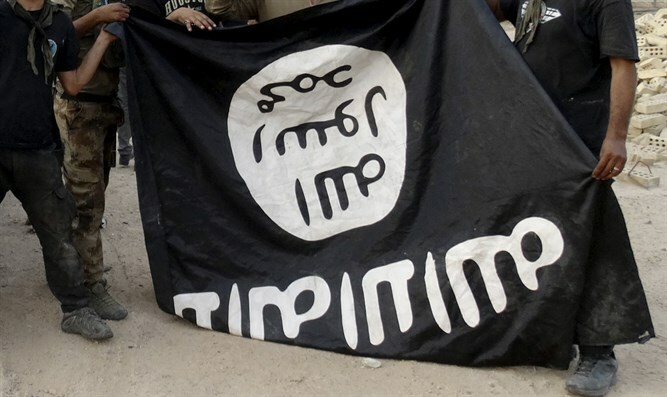 The parody of the ISIS flag was created in 2014 on a satirical right-wing website called the World News Bureau, as an illustration for a satirical article on ISIS. The FBI said seven explosive packages were sent this week to people identified with the left. The addressees of the packages were the Jewish billionaire George Soros, former presidential candidate Hillary Clinton, former President Barack Obama, former attorney general Eric Holder, former CIA chief John Brennan and Congresswoman Maxine Waters - to whom two packages were sent - one to her office in Washington and another to her office in Los Angeles.